A reader reminded us that we have not mentioned one of the new tenants in the Ross Dress For Less building at 918 West Montrose. 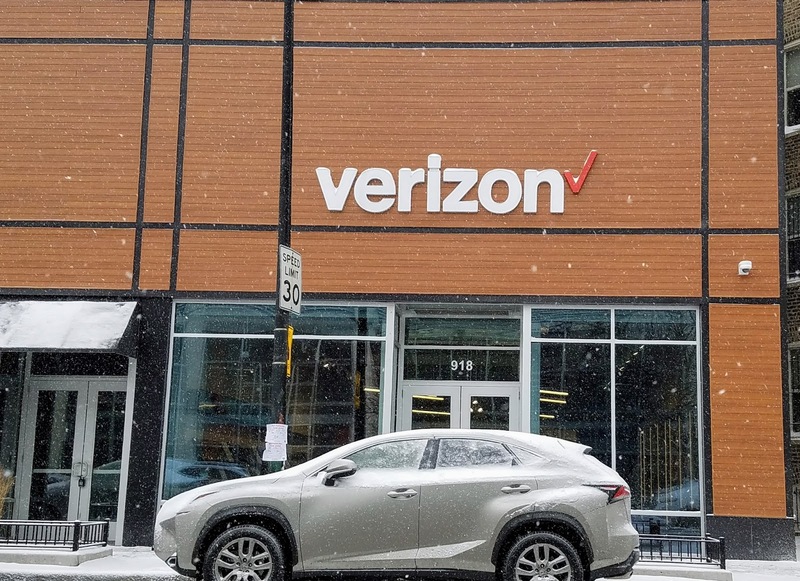 If you are a Verizon customer, there's no need to travel out of Uptown to buy a phone or pay your bill or negotiate a new rate. "The Verizon store opened in October and is a next generation store with a brand new design and layout. It is a corporate store run by Verizon, not one of those 'authorized retailers.' It has free on-site parking shared with Ross. The hours are Sunday 11-6 and Monday-Saturday 10-8." Other Verizon stores are in Ravenswood (on Lawrence west of Ridman's Coffee), in Lakeview (3700 block of Halsted), and in Edgewater (5300 block of Clark), but this is Uptown's one and only!